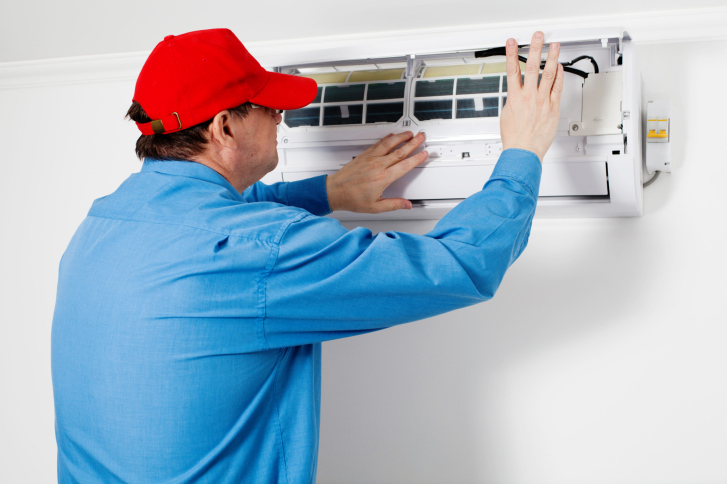 When running an HVAC business, it pays to have experienced, knowledgeable technicians. Equally important, however, is the customer service aspect of your business. HVAC technicians must be polite, professional, and personable while they service you customers’ HVAC system. This involve not only acting the part, but dressing the part too. Uniforms can go a long way toward improving the professional look of your HVAC employees, and the way customers perceive your business. No matter how much we are all told not to judge a book by its cover, we really don’t have much to go on when we first meet someone. A first impression can be made in as little as 7 seconds on a customer. The first impression your HVAC technician will be making will be a visual one. Having a clean, professional uniform for your technicians will create a great first impression on your customers, and let them know they are dealing with a reputable business with high-class employees. Your employees are a large part of your business, and the way they carry themselves and the way they act around customers reflects on your business as a whole. The technicians that you send to each customer’s home are going to be the part of your business that they see the most. If you want your business to exude professionalism and respect for your customers, make sure your technicians dress the part. Attractive, properly fitted uniforms help to identify your technicians as capable professionals. Another benefit that HVAC uniforms provides is the visual recognition with customers. When your skilled technicians finish their job, your customers are much more likely to remember your business if they make a stronger connection between that good job, and your brand. A uniform will create a strong impression with your customers, and they will be much more likely to remember both your business and brand if your technicians are outfitted with uniforms. For over forty years, Lord Baltimore has provided reliable, cost-effective private school uniform solutions for students and staff members throughout Maryland, Washington DC, Northern Virginia, Southern Pennsylvania, and Delaware. Want a FREE Private School Uniform Quote? Click Here! To learn more about how uniform rentals can benefit your HVAC employees and technicians, please contact Joe Bateman at Lord Baltimore by calling 800-292-1224. This entry was posted on Friday, March 18th, 2016	at 11:37 pm	. You can follow any responses to this entry through the RSS 2.0	feed. Both comments and pings are currently closed.